Honda Shadow Forums : Shadow Motorcycle Forum > Vendors > Motosport.com > Any big rides planned this weekend??? Any big rides planned this weekend??? Here are a couple rides scheduled for this weekend that may be in your area! Let us know where you plan on riding this 4th of July weekend! Newport Motorcycle Rally July 4-7: Newport, Kentucky hosts a four-day motorcycle rally that includes a charity ride and bike show. Colorado VTX Ride July 4-7: Join the Colorado VTX Range Riders on their 11th annual ride through the Rockies. Short and long rides planned to accommodate riders of all levels. Blackbeard's Motorcycle Ride July 4: This 3rd annual ride benefits the SSG Matthew A. Pucino Memorial Foundation. Registration is at 9 a.m. and kickstands up at 11 a.m. at Buzzards Bay Park, 90 Main St. in Buzzards Bay, MA. 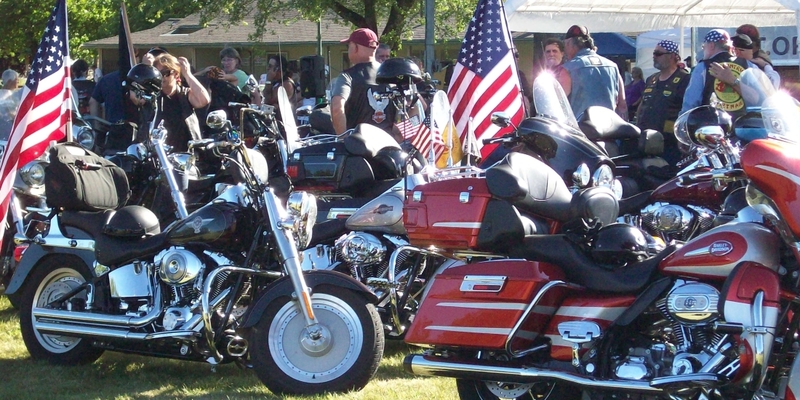 The Hollister Rally July 5-6: Hollister, California is considered the birthplace of the American biker and is the host of this major festival that includes 30 bands, a custom bike show and the 66th Independence run. Ride for the Stars July 6: The 8th annual poker run benefits the Make-A-Wish Foundation of Colorado. Registration begins at 8 a.m. and kickstands up at 10 a.m. starting at American legion Post 1992, 16070 E. Dartmouth in Aurora, CO. Bone to be Wild July 6: The 10th annual Bone to be Wild ride benefits the Humane Society of Washington County. Register online or in person starting at 9:30 a.m. Ride begins at 11 a.m. at the Humane Society, 13011 Maugansville Road in Hagerstown, MD. Easton Memorial Run July 6: This poker run is in memory of Easton Loewenstein who was born with Hirschsprung's disease in 2006 and died in 2008. Proceeds benefit the Children's Hospital and Medical Center in Omaha, NE. Registration is at 11 a.m. at Dillon Brothers Harley-Davidson, 3838 N. HWS Cleveland Blvd. in Omaha. Ride for Freedom July 7: Freedom Riders MC host the AMA sanctioned Ride for Freedom Poker Run. Sign in from 9 to 11 a.m. Sunday at the FRMC Clubhouse, 331 E. 6th St. Red Hill, PA.
Click here for the MotoSport.com Blog Post about this weekend's rides! Shop MotoSport.com for Motorcycle Parts and Accessories!